In the fall of 2014, Coldwell Banker Residential Brokerage in New Jersey and Rockland County, New York launched Updater to simplify the moving process for buyers and sellers across New Jersey and New York. Coldwell Banker Residential Brokerage in New Jersey and Rockland County, New York is part of NRT LLC, the nation's largest owner and operator of residential real estate brokerages. The initiative was designed to complement the company’s pre-existing concierge program and streamline the process of putting a buyer/seller in touch with their concierge team. As a result of Updater’s success in doing exactly that, Updater was introduced to clients and customers in 12 additional regions throughout the country, in addition to the New Jersey pilot. For years, Coldwell Banker Residential Brokerage offered an in-house concierge program, comprised of staff and vendors. The program put customer satisfaction at its forefront, which required constant hands-on management. 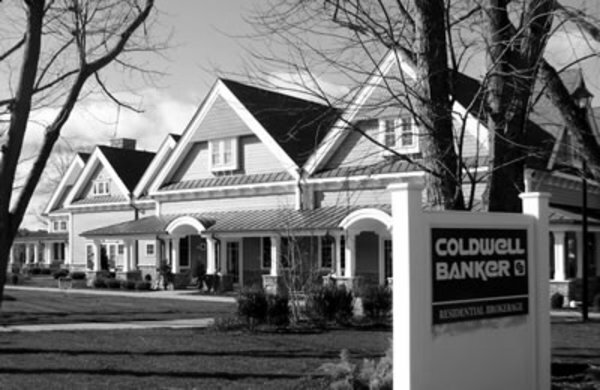 With over 18,500 transactions a year, Coldwell Banker Residential Brokerage in New Jersey and Rockland County, New York simply did not have the staff to help buyers and sellers at scale. Instead, the agents had to navigate the concierge program, which wasn’t automated, making it time inefficient. Updater first launched a pilot program with Coldwell Banker in New Jersey and Rockland County, New York. After receiving positive feedback within the market, directly from agents, and seeing impressive engagement numbers, Updater launched across eleven more regions. Updater streamlined Coldwell Banker Residential Brokerage's entire concierge program, making the concierge available 24/7 and on the clients’ terms. Rave reviews rolled in from both agents and clients about the "Update Your Accounts" feature and its efficiency. Updater helped Coldwell Banker Residential Brokerage highlight their preferred partnerships within the platform creating a digital home for buyers and sellers to access Coldwell Banker Residential Brokerage's pre-existing relationships at the exact time in which they needed it. In particular, Updater drove increased value for the company's preferred moving companies, who joined Updater to deepen the relationship between buyers and sellers and the moving companies Coldwell Banker Residential Brokerage approved. Updater facilitated trainings across the regions at the agent level, the trainer level, and the regional management level. Trainings led to a 13% reduction in inbound questions to Updater from agents, a testimony to the quality and success of the trainings. Chat with an Updater expert. Even the strange ones, ask away. We're here to help!